Let me take a minute to introduce the next great band that would love to work with you. STEAL DAWN is a Top 40 Rock & Roll Dance band has been performing in clubs, corporate events, and private parties for over 24 years! There's NO GIG TOO FAR for us! We'd love to come to you. Check out our official website for the most updated upcoming show listings. One of the things we love to do for clients is have you look at our extensive songlist and pick all the songs YOU want to hear! Sometimes, we are able to learn a song just for your event. We've got a lot to choose from, and it will sound amazing to you and your guests. - Companies like Toyota, Hunsaker & Associates, GIA, Genoptix Medical Laboratory, etc. The group consists of Robert Adams (Lead and backing vocals, lead and rhythm guitars and keyboards), Andrew Frangos (Lead and rhythm guitars, and backing vocals), and Jerry Schoen (Drums and percussion, backing and lead vocals). We typically play more than 40 shows per year. 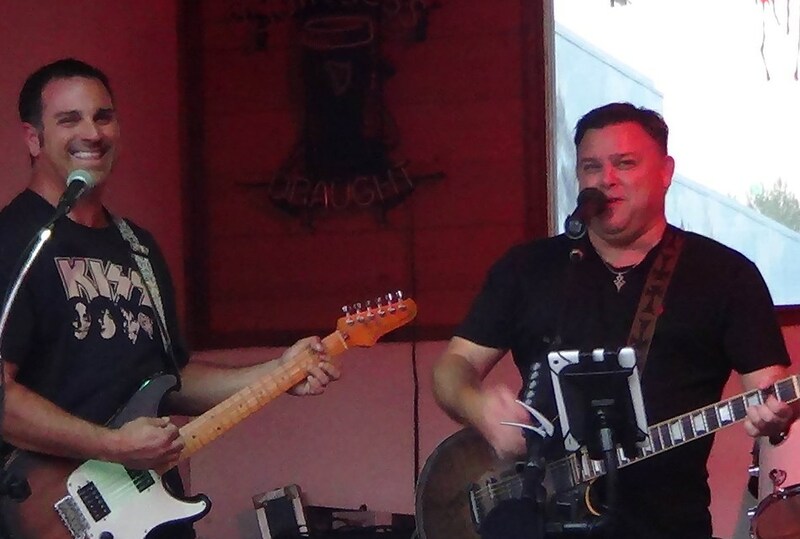 Our music style is very diverse and not just the "same ole thing" that you've heard around town. 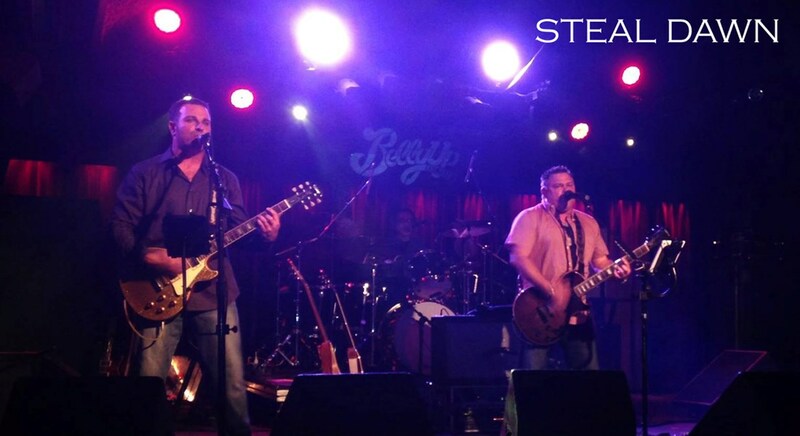 STEAL DAWN prides itself on playing the best current and classic rock & roll dance music. Many times, we are complimented on how much the songs sound like the original artist. That's the best compliment any band can receive! With music from Aerosmith to ZZ Top, Bon Jovi to Def Leppard, Bruno Mars to Usher, Ed Sheeran to Muse, Lenny Kravitz to Maroon 5, and everything in between, we definitely try to play music that can please everyone in the crowd! We specialize in getting the crowd into the show, and love playing parties. Many of our current fans started as as people that saw us or hired us for a party. We hope you will give us the opportunity to perform for your audience very soon. We have left a trail of VERY HAPPY REPEAT CUSTOMERS. Amazing! They played at my wedding and it was an absolute blast! 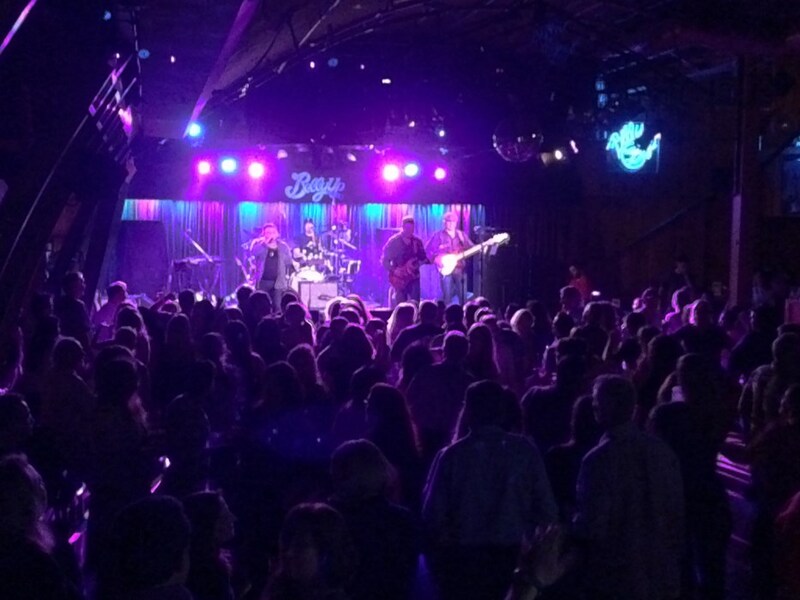 Guests are still raving about how much they enjoyed the band. I would hire them again in a heartbeat! I would hire these guys again in a heartbeat. They were professional, accommodating, fun, personal and they ROCKED! They played a great range of music. Our entire party LOVED them. I highly recommend them and I am hoping I get the chance to hire them again one day. Great band for a party, lots of variety of music for everyone. They are a fun group of guys. Steal Dawn gave an extraordinary performance! Their talent, experience level, time together and love of music, really comes through in the show. All the members sing, and so were able to play something for everyone. I think they played as many genres, as songs. These guys know how to have fun! In the thirteen years of this series, Steal Dawn is by far the best 70s - to present cover band we've ever had. I would highly recommend Steal Dawn to anyone without reservation. I don't think we could have hired a better band than Steal Dawn. They were so responsive and accommodating. We had so many guests compliment them as well. One of the unexpected pleasures was the band letting our 2 granddaughters (5 &2) play their electric guitars on stage and right on the dance floor! This is one fun band! Im not sure you could find a better band for the money. Great job guys!!! Needless to say, our expectations were greatly exceeded. Steal Dawn performed at a party that my company was hosting during a conference and they were not only very talented and professional, they were extremely accommodating as well. Many of our guests took the time to tell us that they were the greatest band they'd seen in a long time. We're extremely grateful to Steal Dawn and the wonderful performance, and would highly recommend them to anyone planning an event who really wants a lively, talented, engaging band! Awesome. Made my birthday party unbelievably awesome. Had everyone dancing all nite until the very end. Loved these guys!!! Please note Steal Dawn will also travel to Oceanside, San Luis Rey, Vista, Encinitas, Cardiff By The Sea, San Marcos, Bonsall, Rancho Santa Fe, Solana Beach, Escondido, Camp Pendleton, Del Mar, Fallbrook, San Diego, Valley Center, La Jolla, Pala, Poway, San Clemente, Temecula.